Our name says it all. Whether you need to move an entire home, take delivery of large furniture or appliances, or transport fragile family heirlooms, First Class Delivery is our promise every time. Locally owned and operated, Greene’s First Class Delivery is founded on a deep respect for our customers and their property. Large or small, we approach every shipment with genuine care, treating your items as if they were our own. Click here for more information about our moving and delivery services. Carlson Greene grew up in Central Arkansas and has been in the moving industry in one capacity or another for more than 15 years. Working for a high end furniture company for nearly a decade, he managed everything from warehouse receiving, on-site installation, residential delivery, and customer service. 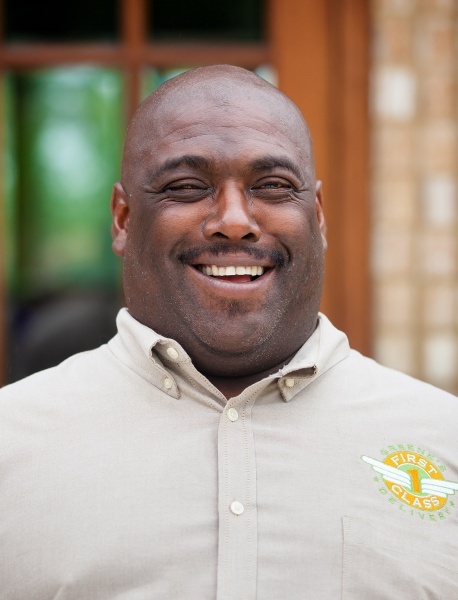 In 2008, he launched what would become Greene’s First Class Delivery in order to continue serving his existing clients and expanding his services across the state to support both commercial and residential customers. His trusted team of experienced professionals is well equipped to handle jobs of all types and sizes — from the antique family heirloom to whole home family moves. Experienced. Prompt. Reliable. Go Greene!